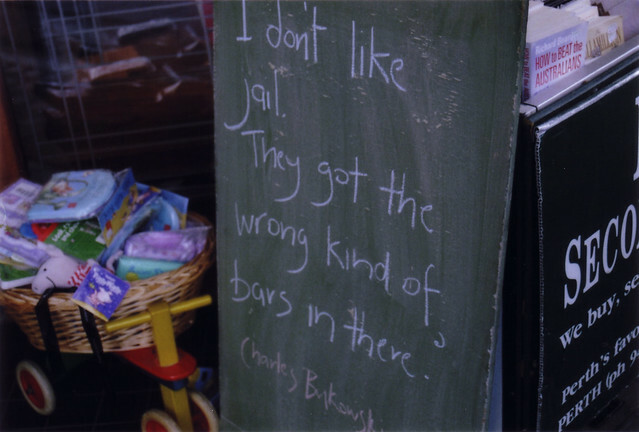 One of the always changing pithy quotes outside one of my favourite secondhand bookstores. 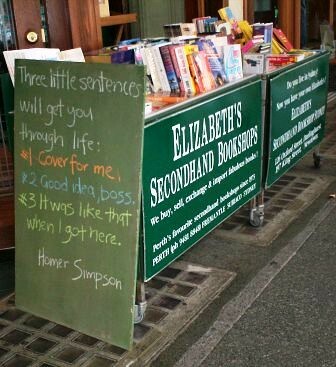 Elizabeth’s Bookshop staff delight in using the graffiti board that sits outside each of the shops for their favourite quote of the day. Sometimes left field, sometimes incomprehensible, but always worth a glance. Or in the case of these images taken by customers, even worth a photograph. 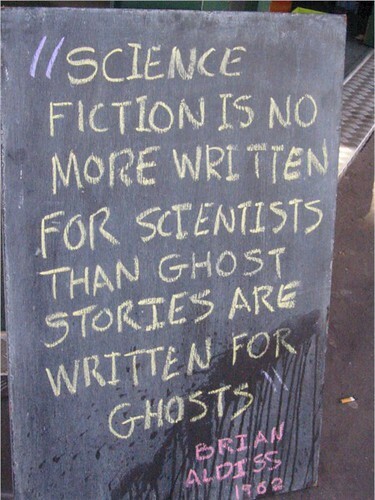 Taken outside Elizabeth’s Bookshop in Perth. This entry was posted on January 29, 2011 at 3:14 am and is filed under Uncategorized. You can follow any responses to this entry through the RSS 2.0 feed.